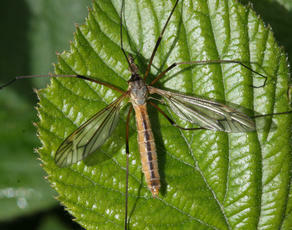 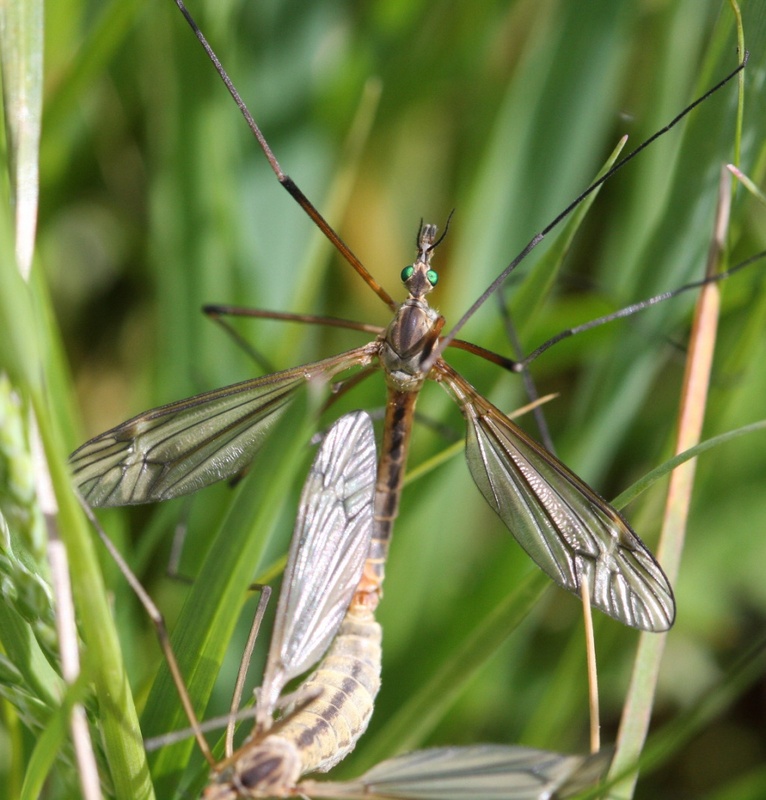 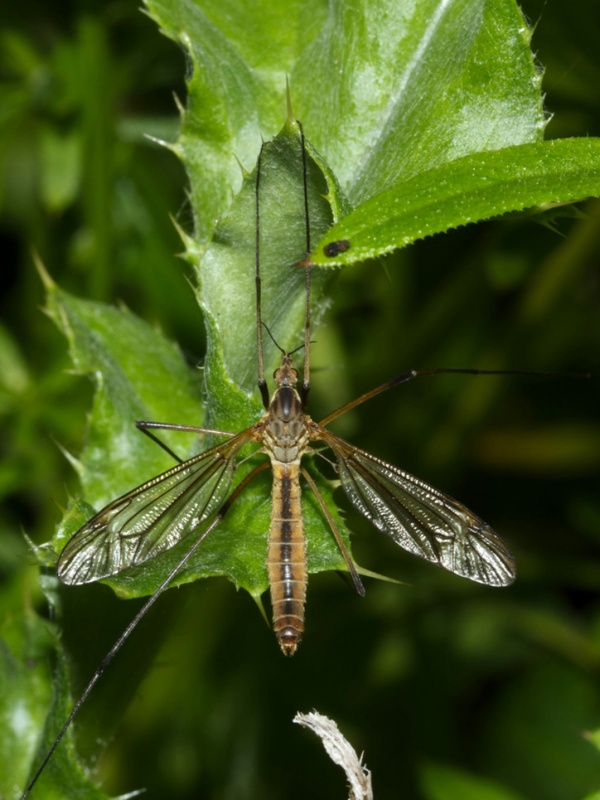 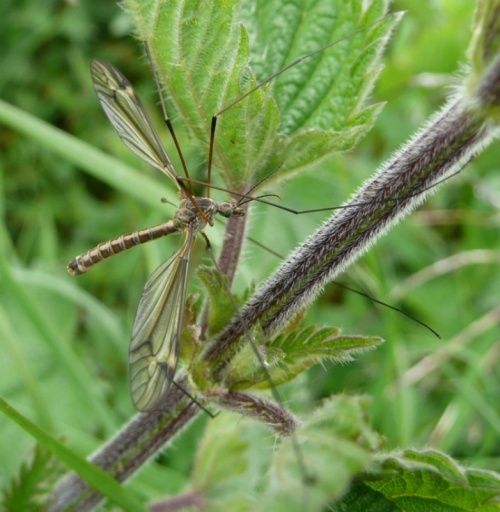 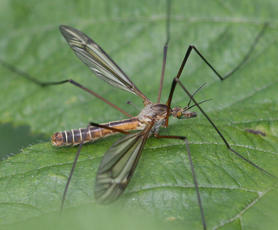 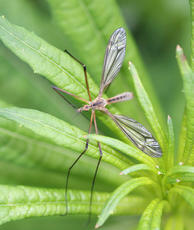 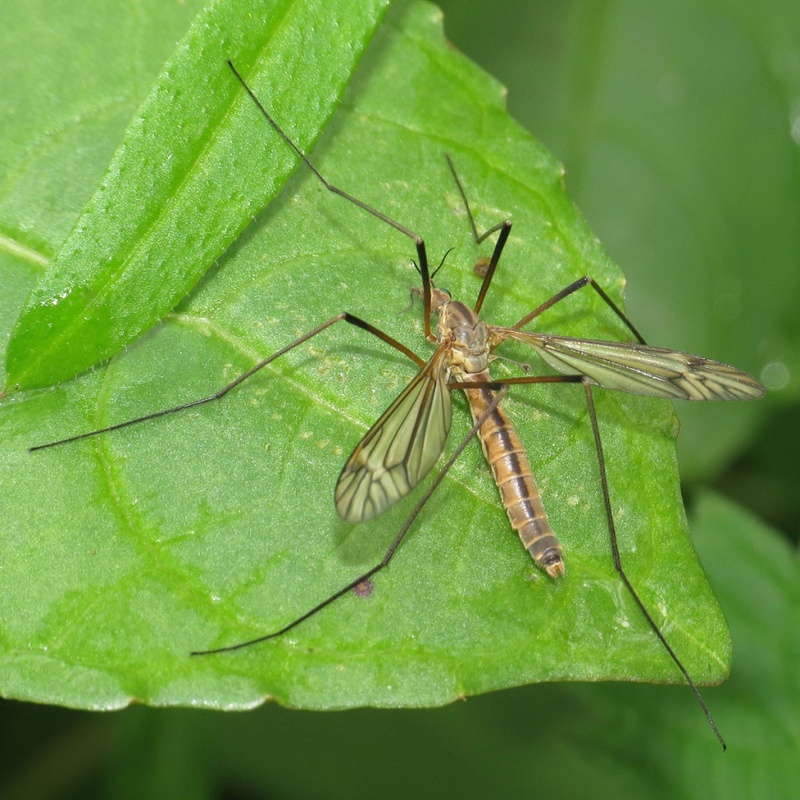 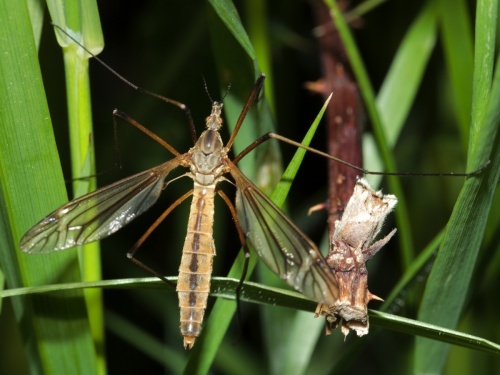 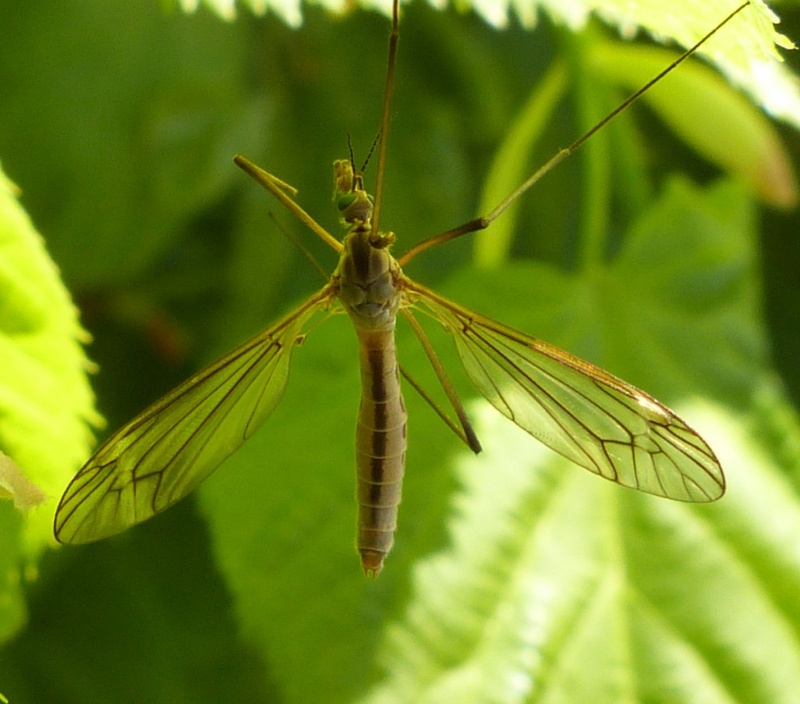 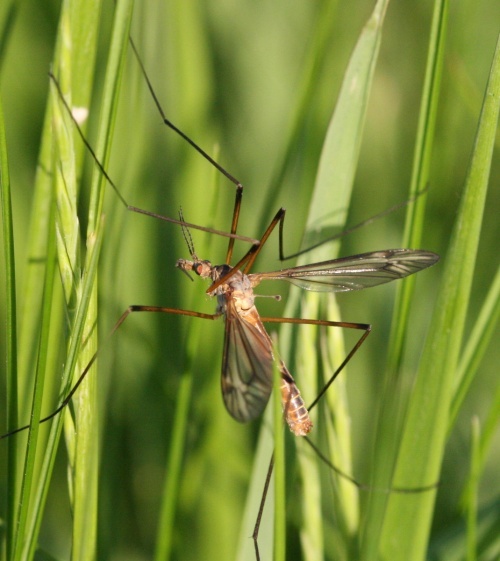 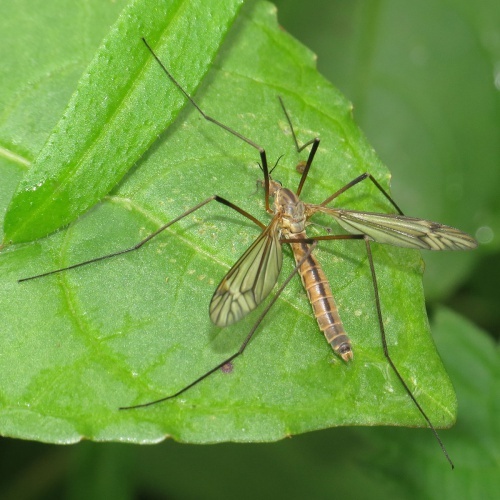 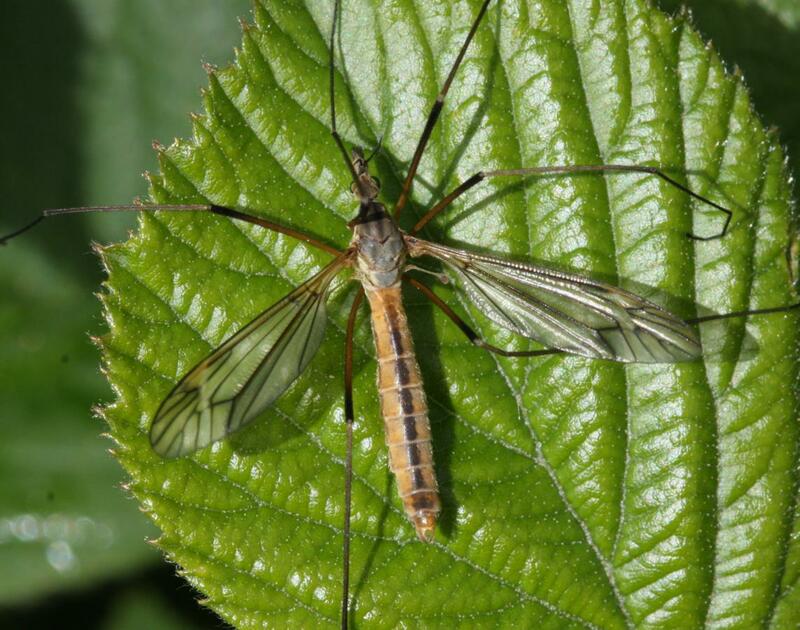 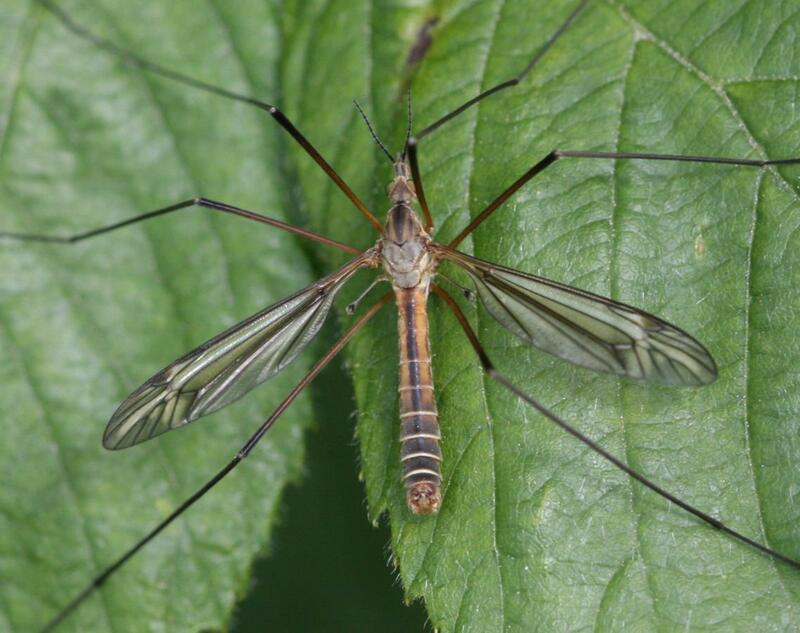 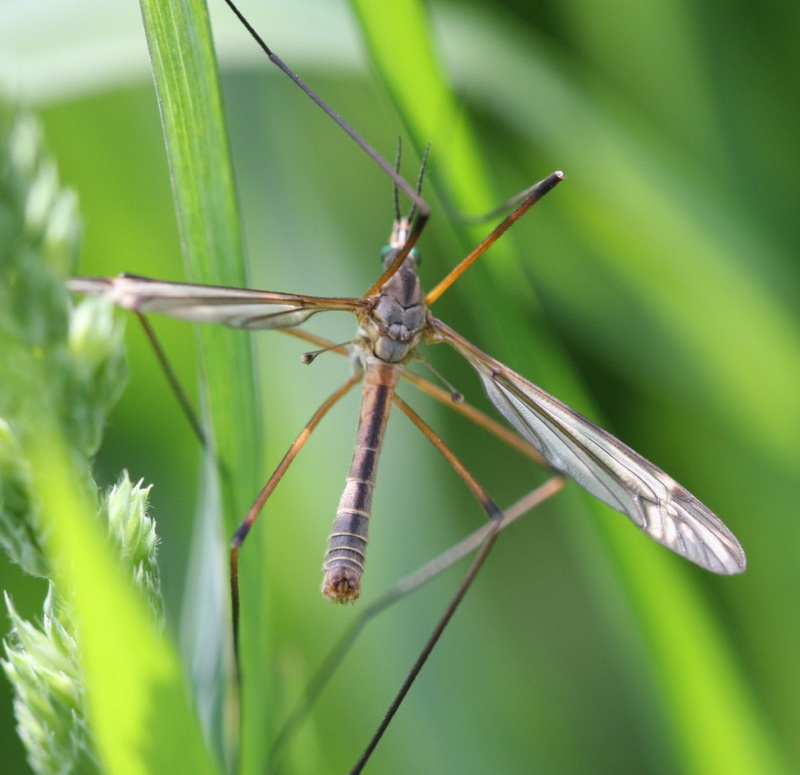 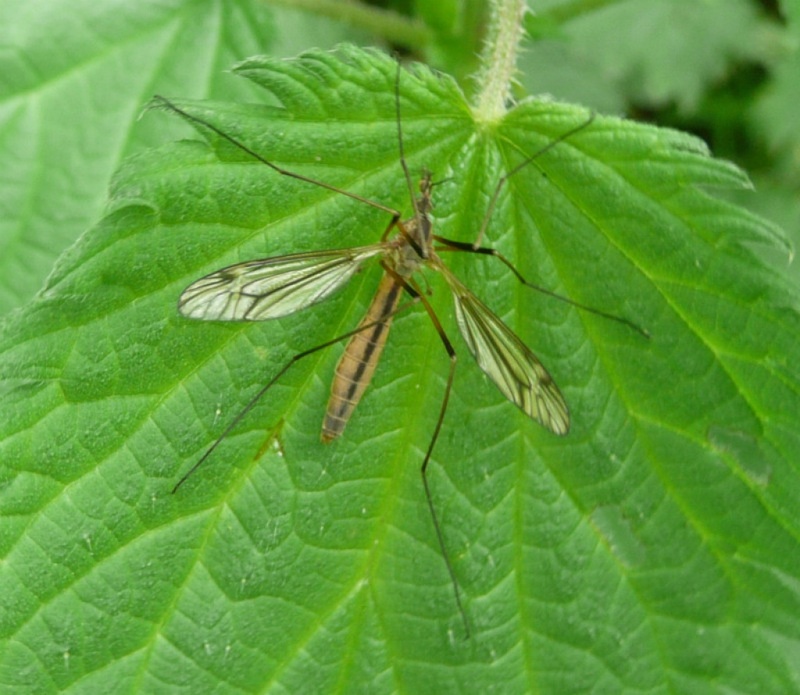 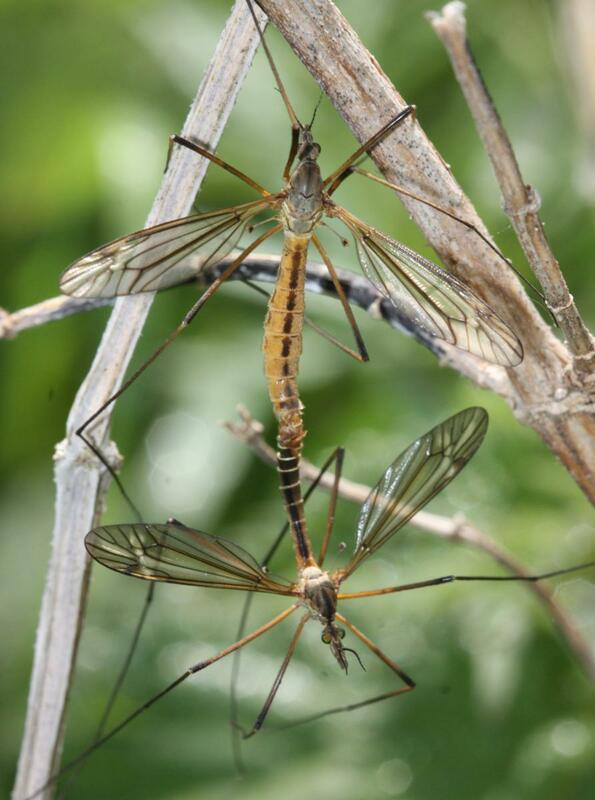 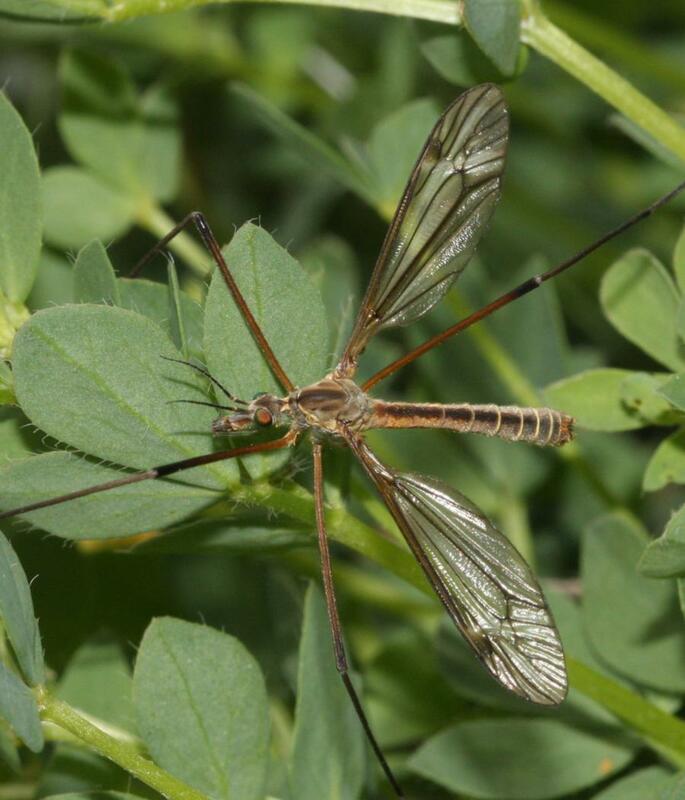 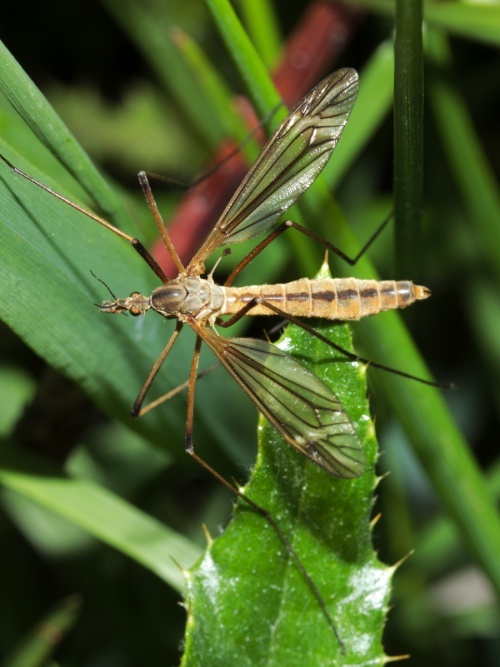 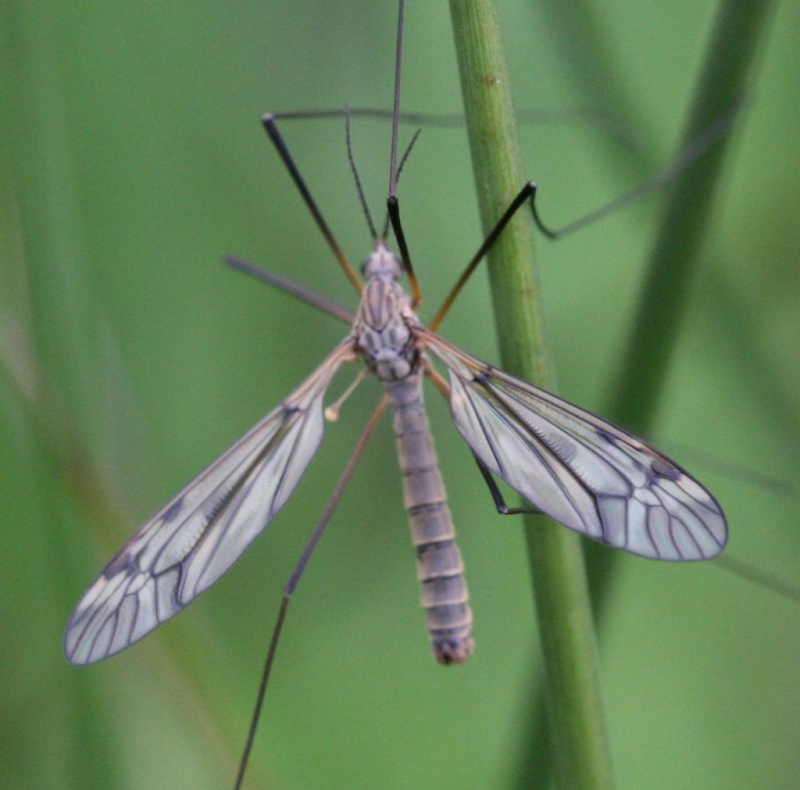 A large cranefly with a distinctive wing pattern. It has a dark stripe along its back and a dark triangle on the thorax and striking green eyes. 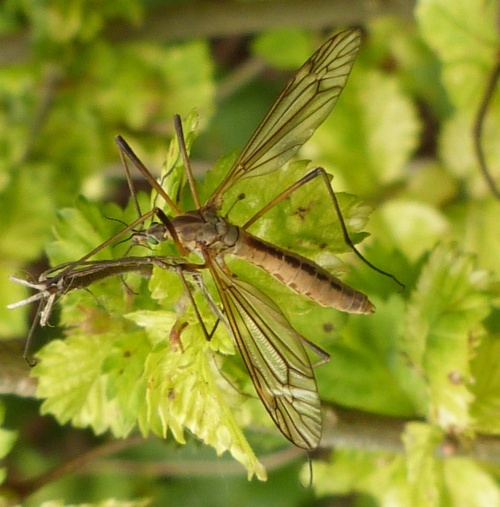 Mainly in moist well-wooded places, wet woodland and marshy areas. 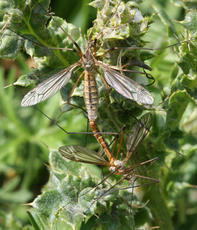 The larvae feed on plant roots and the adult flies feed on nectar. 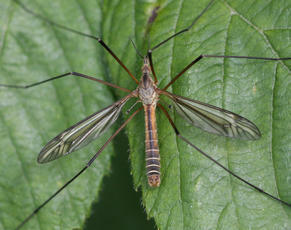 Common and widely distributed in Britain.